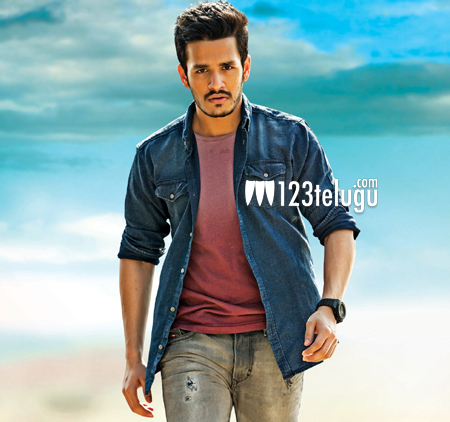 Akkineni Akhil is currently busy shooting for his debut film in the direction of V.V. Vinayak. Almost 85 percent of the shoot is completed and the makers are planning to release the film in October. The untitled project is already doing a superb pre-release business in both Andhra and Telangana. As per the latest update, the team is travelling to Europe today to shoot a couple of songs in the picturesque valleys of the continent. Sayesha Saigal is playing Akhil’s love interest in the film. Anoop Rubens and SS Thaman are composing tunes and actor Nithiin is producing the film.